← Meat Quality is Related to Care? Real Food – Now Available in Plastic! Remember the all-new singing-and-dancing MyPlate? That handy guide to what to eat that only seems to apply to those of us on a discrete meat/starch/veg diet eaten off school cafeteria-style segmented tableware? Now any Home Economics teacher can easily include MyPlate in the curriculum – with this handy MyPlate food kit! Or… you could use real food. You know, so students could learn to prepare and eat it rather than gazing at a plastic molded apple. Just a thought. I can’t express how much it amuses me that the food kit associated with this first-lady-approved-PC-food-ideology doesn’t include tofu in the protein group. 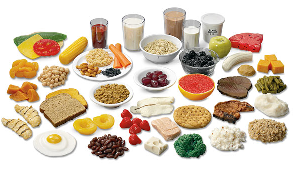 This entry was posted in Food and Nutrition and tagged Food, MyPlate, Nutrition, Tofu. Bookmark the permalink. Yes! Let’s teach cooking to high schoolers like we did before it became “sexist” to put the girls in cooking and the boys all in “shop”.